At 32, Nat Turner has already sold one company to Google for more than $US70 million, and sold a second to pharmaceutical giant Roche for $US1.9 billion. 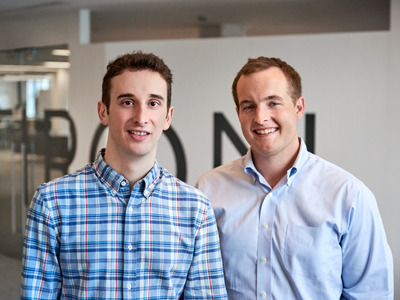 Turner and his cofounder Zach Weinberg, 31, launched Flatiron Health, a cancer technology company, in 2012. The initial plan was to raise another funding round. Flatiron got as far as receiving term sheets, but ultimately decided to strike a deal with Roche, which had previously been an investor. The self-described “serial entrepreneurs” are staying on after the acquisition. “This is not a standard company for us,” Turner told Business Insider. Nat Turner is quick to point out that this didn’t happen overnight. Turner’s the CEO of Flatiron Health, a company that the Swiss pharmaceutical giant Roche on Thursday agreed to pay $US1.9 billion for, valuing the company at $US2.1 billion. It’s the second major acquisition for the serial entrepreneur and his cofounder Zach Weinberg, whose last company sold to Google in 2010 for more than $US70 million. Flatiron, which is based in New York, collects clinical data about cancer patients – such as what medications patients have taken and how they have responded to them. With that information, such as details on what medications patients have taken and how they have responded to them over the course of treatment, the hope is that healthcare professionals can have a better idea of how cancer drugs work in the “real world” in hospitals and cancer centres, as opposed to during clinical trials. The Roche Group is made up of a number of different businesses, spanning from diagnostics to cancer drug development. Roche’s Genentech arm had been one of Flatiron’s early clients back in 2013, Turner said. Then toward the end of 2015, Roche led the company’s $US175 million Series C.
Around September 2017, Flatiron began considering raising another funding round to take advantage of money that’s been pouring into healthcare, while at the same time having the chance to do some acquisitions and otherwise grow the company. “It was an attractive time,” Turner told Business Insider. The company even received a few term sheets. That’s when Flatiron started having more conversations with Roche Pharmaceuticals CEO Dan O’Day, who’s a member of Flatiron’s board. In the end, going the acquisition route made more sense. Flatiron works with cancer doctors, researchers, and pharma companies through its technology, so there were some non-negotiable aspects to the deal with Roche. That included keeping the door open for Flatiron to keep working with other drugmakers and treating Flatiron as a separate legal entity so that proprietary information wouldn’t be transferred out. After selling their last company to Google, Turner and Weinberg got restless. A year in, the two started thinking about building a company that would eventually become Flatiron in 2012. This time, Turner and Weinberg are staying on. “We are definitely serial entrepreneurs, but this is not a standard company for us,” Turner said. That wouldn’t be the case if the acquisition played out the way their last one did, where it was fully integrated into Google. Because Flatiron will operate as a separate entity, the duo can continue to build it up. Turner’s advice for entrepreneurs working to get to this point has almost nothing to with reaching a deal. Should someone want to buy it and it’s the right time to sell, then that works out.